How much money does a florist make? How much does a florist earn? Have you ever Googled, “What’s the “average salary for a floral designer”? 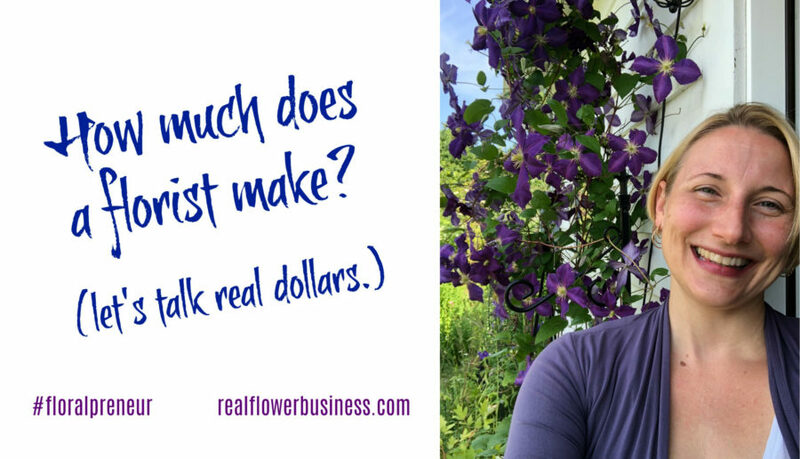 The answer to this question is not one-size-fits-all….and running a floral design business is not a get-rich-quick scheme, or a guaranteed six-figure income…however, floristry is extremely rewarding (and challenging) and empowering (and humbling) work!…. And your earning potential is often directly related to how hard you’re willing to hustle. According to the Bureau of Labor And Statistics, the average mean salary for a florist is $27,750, with an hourly wage of about $13.34. They report that the top paying areas for florists in the U.S.A. include Northwest Colorado, Santa Barbara, San Fransisco, and the District of Columbia, with an average mean salary between $41,000-45,000, and an hourly wage of approximately $19-22/hour in these areas. Florists in non-metropolitan areas earn less than their Metropolitan counterparts with an average salary of $21,00-22,000 in areas of Montana, Ohio, Pennsylvania, Tennessee, Texas, and West Virginia where florists are reported to make an average of $11/hour or less. As the owner of a small business it’s important to understand the current state of the floral industry so you can gauge your own progress and see how you rank compared to the your peers. So how much money is the right amount of money for you to be making in your business? What’s a realistic income goal for you? How much does a florist make? Both business owners and designers. Pro Tip: The goal is to make a 70% profit on the cost of flowers & supplies! All additional expenses (your additional COGS) come out of this 70% profit–that’s why it’s so important to consistently maximize your profits by applying the proper markups and design fees. If you’re not reaching your income goals yet, how are you going to change that? Don’t be afraid to look at your real numbers….you may be pleasantly surprised to find out you’re closer to your goal than you realized! Only you, your real sales numbers, and your heart can determine if your income goal is viable right now, but running the numbers will inform you and allow you to make deliberate moves and set your own direction. The goal is to build a business that brings you pride, joy and freedom. You should plan to be happy in your business! #2. Now, how much will you have to sell in order to increase your income from what you made this year in your business to what’d you need to earn? #3. Additionally, how much would you need to sell to earn what you want to make? What would need to happen in your business to make this income level feasible? In other words, if this is your goal, how will you get there? Will you book 5 more wedding? Set a higher minimum on events? Hire another designer to help you take on more work? You don’t always have to increase your sales to make more money! Could you be keeping more of the money you’re already making? Remember: The goal is to make a 70% profit on the cost of flowers & supplies! This is not the same thing as setting a 30% spending goal! You want to plan for profits, not commit to spending a certain amount. It doesn’t matter what you charge if you overbuy! Are you ready to make flowers your full time job? Do you have a partner or additional income stream to contribute to your household or are you flying solo financially? Do you have some benefits in your current job that would be sorely missed if you were your own boss? What else changes for better or worse if you take on the responsibilities (and uncertainties) of being a full-time floralpreneur®? Before you can decide to make flowers your “full time gig” you must understand your income goals. Can your floral design business generate this kind of income for you? Remember: Everybody has to start somewhere. And you CAN make money in this business if you price for maximum profit! 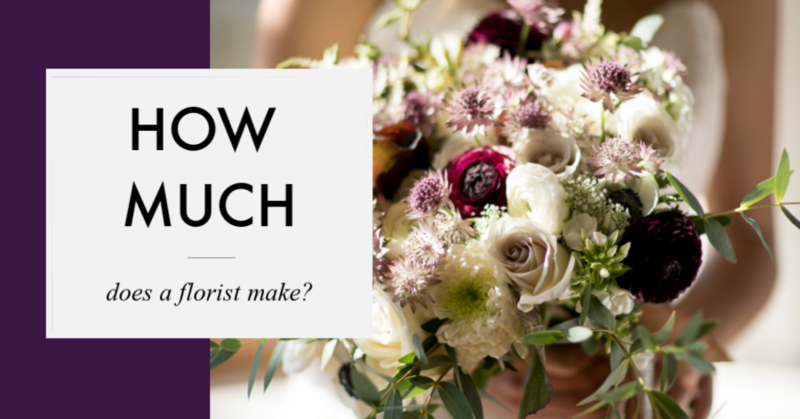 Click HERE to get the 3 Numbers Every Florist Should Know (it’s free! ).